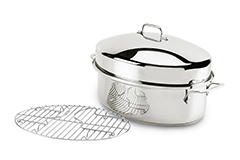 All-Clad roasting pans are great for a turkey or your everyday pork roast. 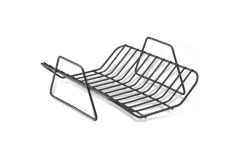 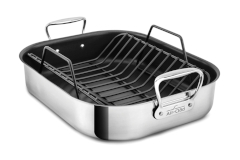 The rack keeps it up off the bottom of the pan so that the drippings collect on the bottom. 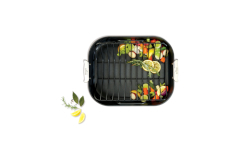 Roasting pans are also great for vegetable dishes like roasted potatoes. 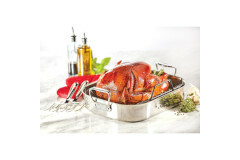 Available in stainless steel, stainless steel nonstick and hard anodized styles, as well as rectangular and oval shapes.